The DALI PHANTOM E-50 in-ceiling speaker delivers an incredible clear and well-defined audio experience, and impresses with the level of bass it can produce, despite its size. 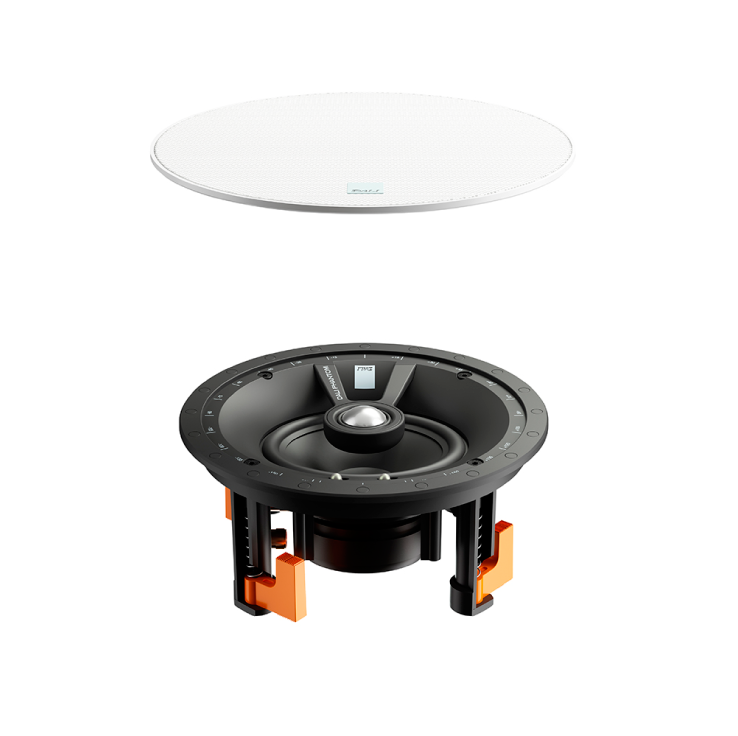 The E-50 is equipped with a 5.25" woofer and designed for optimum in-ceiling use, but can also be mounted in-wall. The very thin magnetic front grilles integrates almost seamlessly into any home environment. The PHANTOM E-series are easy to place anywhere in any room, and will even work perfectly off-axis in challenging situations and environments due to two audio settings used for adjusting the performance of the speaker. This compact in-ceiling loudspeaker delivers an incredible clear and well-defined audio experience, and impresses with the level of bass it can produce, despite its size. The size makes it perfect for a stereo setup in a small room, or as rear loudspeakers in a larger room in a surround setup. The DALI PHANTOM E-50 is designed for optimum in-ceiling use, but will also work if mounted in-wall. It is all about true hi-fi sound, versatility, and flexibility. The compact sized construction and the easy-to-use compass positioning system makes placing the speaker for the optimum sound experience very straight forward. Two discreet switches offer audio adjustment options to ensure that the listener gets the most from the speakers, even in rooms that traditionally are difficult. The tilted woofer and the slightly of centre soft dome tweeter, blends gracefully and produces a richly detailed and crisp soundstage. The polypropylene cone is more resilient towards humidity than the traditional DALI cone material – wood fibre, making the PHANTOM E-50 flexible in regards to placements in covered outdoor areas and bathrooms. Optionally, the PHANTOM E-50 can be fitted with a square front grill. The PHANTOM E-50 introduces improvements to the basic design of the front baffle by adding extra thickness to the outer edges for a tighter and more secure fit against the mounting area. This also helps the overall strength and rigidity of the speaker. The dogleg mounting system makes the install process an easy one step action. Simply insert the PHANTOM E-50 in the prepared mounting area, and from the front of the speaker tighten the dedicated screws to swing out the dogleg brackets and tighten them against the back of the mounting surface. If the mounting surface is extra thick reversing the dogleg makes it possible to expand the mounting grip to 70mm. The PHANTOM E-50 front grilles have been updated to meet the style demands of the install customer. The new sleek design helps the speaker integrate perfectly into the surroundings. Every component in the crossover is carefully selected for their audiophile quality and the crossover in the PHANTOM E-50 is designed especially for this model. The PHANTOM E-50 includes PTC (Polymeric Positive Temperature Coefficient device) safety function. This safeguards the driver components from overheating if played at very loud volumes over a long period. Install speakers are often played to fill more than just the room they are mounted in, so If the listener is in another room the volume can accidently be turned up to extremely high levels, and therefore permanently damage the speakers. The PTC system will prevent this for happening, since it acts like a fuse if the current get to high. The 25mm soft dome tweeter module in the PHANTOM E-50 is fixed over the woofer in a composite housing mounted on an airplane-wingprofile wishbone bracket. By mounting the tweeter over the woofer the total foot print of the speaker is keep at a minimum. The aerodynamic design of the wing and the slightly of centre placement of the tweeter help eliminate the “coaxial colouration” normally associated with coaxial drivers. The positioning also help the mid-range and low frequencies blend gracefully with high frequencies for a precise and natural overall performance even at high sound pressures. The compass rose on the outer edge help direct the speaker for optimum sound stage. Flexibility was important when designing the PHANTOM E-50, and the ability to use the speaker in areas not fit for traditional DALI speakers was a large part of this. To ensure the best balance between durability and great audio reproduction polypropylene was chosen for the cone material. 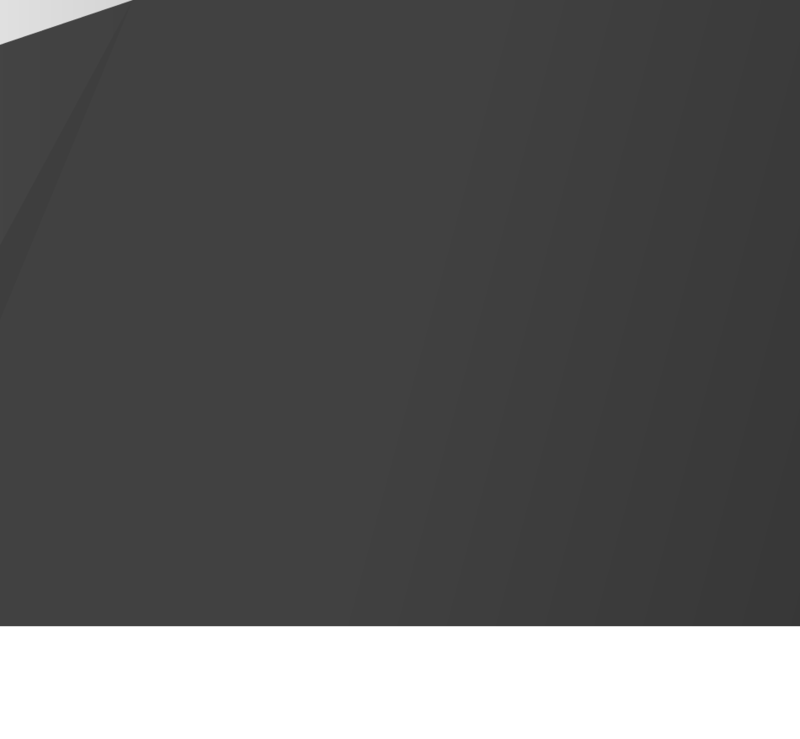 The woofer is tilted and angled for improved directionality and sound staging. The cone, surround and magnet motor system is designed according to the DALI low-loss principles. This makes the PHANTOM E-50 an easy speaker to drive, and even smaller amplifiers will be able to deliver a high quality audio experience with the PHANTOM E-50. All DALI speakers are designed around the principle of wide dispersion. This entails an off-axis optimisation of the audio reproduction. The off-axis optimisation helps deliver the music or movie audio to the larges possible part of the room. This technology is perfect for use with install speakers, since they are always mounted flush against either a wall or a ceiling. Working with the off-axis optimisation ensures that the listener will have a large sweet spot there the soundstage is perfect, but also that the sound received when away from the sweet spot is still of a very high quality. The PHANTOM E-50 has two audio settings that can be used to adjust the performance of the speaker. Focus/Distribute: This toggle enables the tweeter module to disperse the high frequencies better. If the normal listing position is close to the speaker, no more than 25 degrees off-axis, the Focus setting should be used for the best possible experience. If, on the other hand, the normal listing position is beyond 25 degrees off-axis, the Distribute setting can be engaged to help the tweeter disperse the high frequency father. This will improve the audio experience at odd angles in the room. Normal/HF Tilt: When placing two speakers at a great distance from each other, creating a good soundstage can be difficult to achieve. To improve the audio experience under these conditions, DALI has included the possibility to add an extra 3dB to the high frequency output, to enable the sound to travel further. In many cases, this will help deliver a better soundstage even under extreme conditions.